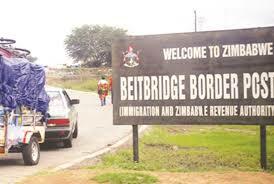 BEITBRIDGE – Top retired Beitbridge Immigration officer, Notius Tarisai has formed a consultancy company to deal with immigration issues. Tarisai who was the Assistant Regional Immigration Officer based at Beitbridge confirmed to The Mirror that he has found a new company called African Immigration Initiative and the motto is; liberalising movement of Africans. Tarisai said he is already scouting for business for his company but his priority is to help African countries with his expertise. He said there are numerous projects currently going on under the Zimbabwean Government where his consultancy work can come in handy. He insisted that his philosophy in immigration is to liberalise the movement of Africans across their borders. “I set up my company with a view to liberalise movement of Africans. Because am a consultant now, am ready to assist the Government wherever my services are needed. “One major project where my skills can be put to good use is in the work being carried out to establish two new border posts which will be Mapungubwe and the other at Chitulipasi. I can assist Government with a proper feasibility study for the work. This study will be presented at bi-national commissions and it will be studied by heads of States in the soon periods,” he said. “Some notable achievements in my career are that I addressed a powerful symposium of Trans *Fundia*and Conservation Areas (TFCA) in Joburg when I was still in Government and secondly NEPAD has asked me to do consultants work for them,” he added. Tarisai said he is currently operating alone with the support of his family who do office work whilst he markets himself. Legal practitioner and former magistrate, Jabulani Mzinyathi is one of the directors of the company.